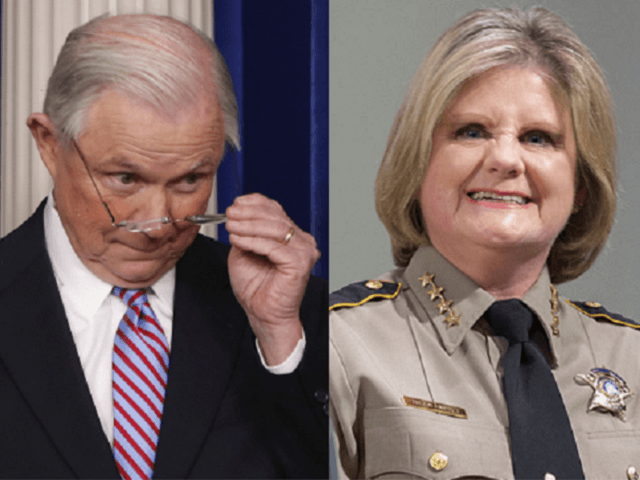 In a report issued by Immigration and Customs Enforcement on March 20 detailing sanctuary jurisdictions that released criminal aliens under an immigration detainer, Travis County ranked number one in the nation, Breitbart Texas reported. Well over 70 percent of the 206 criminal aliens released by sanctuary jurisdictions during the week of January 28-Februay 3, were released by the Travis County Sheriff’s Office. Our ICE policy is in place to uphold our status as one of the safest counties in the nation as well as to reduce Travis County’s liability by requiring ICE to provide warrants rather than requests. Breitbart Texas reached out to the Department of Justice for a reaction to the sheriff’s proclamation. Officials declined to comment beyond the AG’s initial statements made by the AG from the White House. U.S. Representative John Culberson (R-TX) said her claims are not true. Culberson, as head of the House Appropriations Subcommittee on Commerce, Justice, and Science, has been working with the Department of Justice for over a year to have 1373 enforced by stripping law enforcement grants from non-complying jurisdictions, Breitbart Texas reported. Culberson explained the 2017 grant process is just beginning. To obtain these grants, Travis County (and any other applicant) must certify their compliance with 1373. As for her “concerns” about potential liability from holding a criminal immigrant based solely on an immigration hold, Texas Attorney General Ken Paxton debunked her argument in February in a letter issued regarding Texas Senate Bill 4, the “Sanctuary City” bill, Breitbart Texas’ Lana Shadwick reported. Following the Senate hearing on the bill that raised many of the issues over which Hernandez expressed concern, Paxton wrote, “the legal concerns raised at the hearing on the bill are unfounded.” Paxton stated that questions raised about whether counties could be liable for holding inmates pursuant to a wrongful detainer are without merit. In that instance, a county’s good faith in honoring a federal immigration detainer will avoid liability in a civil rights action. It appears Sanctuary Sally (a moniker given to the sheriff by her election opponent) is choosing to carry out a political promise that has already cost her taxpayers the loss of $1.5 million in state law enforcement grants and likely will cost them millions more in the loss of federal grants.